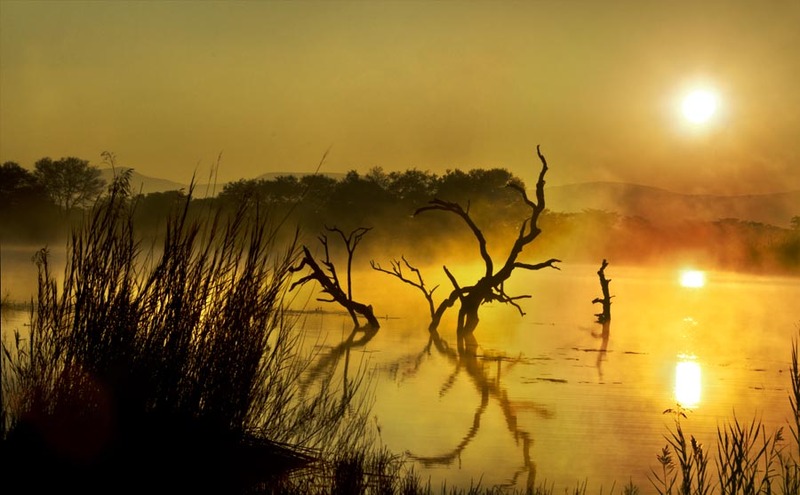 We caught this gorgeous sunrise as the mist rose off the pond on our fantastic safari in South Africa! Our travel club had a blast on our group safari to South Africa. We went to the northern region of the country to a private reserve called Entabeni. Aside from great landscape shots and a travel photo like this, we were grateful to see tons of Lions, Elephants, Rhinos, Impala’s and so much more up close! If you haven’t been with us to Africa yet, you’re missing out on the best group rates and high end safari experiences around!!! Thanks Mary! It was a special morning! That looks surreal! Just gorgeous. That is gorgeous. Nice job! This is fantastic, such wonderful colours and so atmospheric!